In website builder WebWave element languages menu allows users to switch between different language versions of your website. 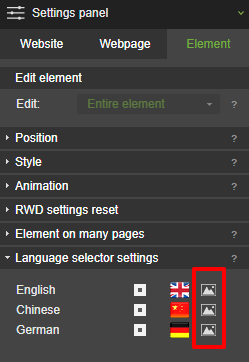 You can set which languages, from previously created versions of your website, will appear in the menu. 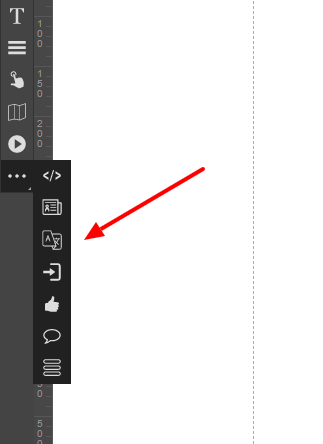 Languages menu can be added to a website through the toolbar on the left side of the builder. Select languages menu and in the Settings Panel go to "Language selector settings". Choose which languages, from previously created languages versions of your website, will be displayed in the menu. You can also change the thumbnails of selected languages.